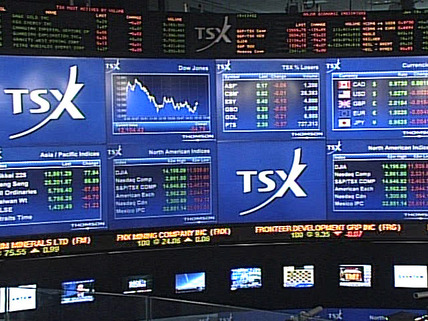 SP TSX60 Index (XIU ETF): Back at Resistance Zone? ​that resistance trendline with a weakening trading Volume. 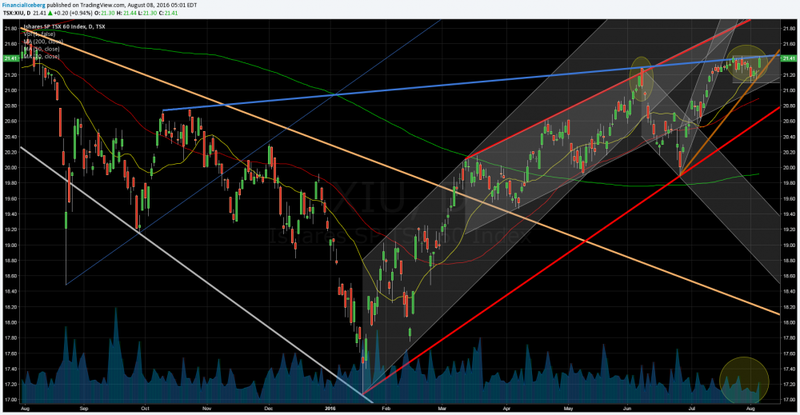 ​(See First Chart Below - Channel) and a tiny triple top at 21.44 reached on July 22, July 27 and August 5 2016. So ​already a Daily close above 21.44 will be a great achievement for Bulls as first tentative Breakout. ​​Interesting to note that the XIU ETF is at +7.5% above the 200 DMA (Day Moving Average) (See First Chart Below - Green Line) and not in a Breakout mode yet as the SPY ETF (SP500 Index) is only +6.6% above its 200 DMA and in a Breakout phase. ​(See Second Chart Below - Thin Blue Line- Ellipse)​.